Our friends rented a great Airbnb downtown, but it wasn’t big enough for everyone going. 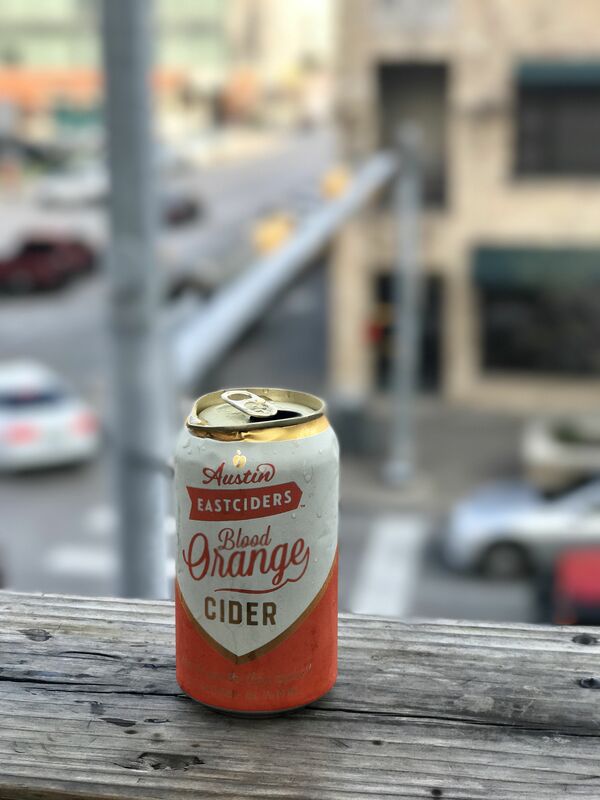 I’d recommend planning far in advance to grab a great Airbnb like theirs, or stay at one of the many great hotels in Austin. Austin is crawling with Bachelorette/Bachelor parties, so Airbnb’s are incredibly popular here. That said, we ended up staying at The Westin Austin Downtown, and I think we chose the best hotel! 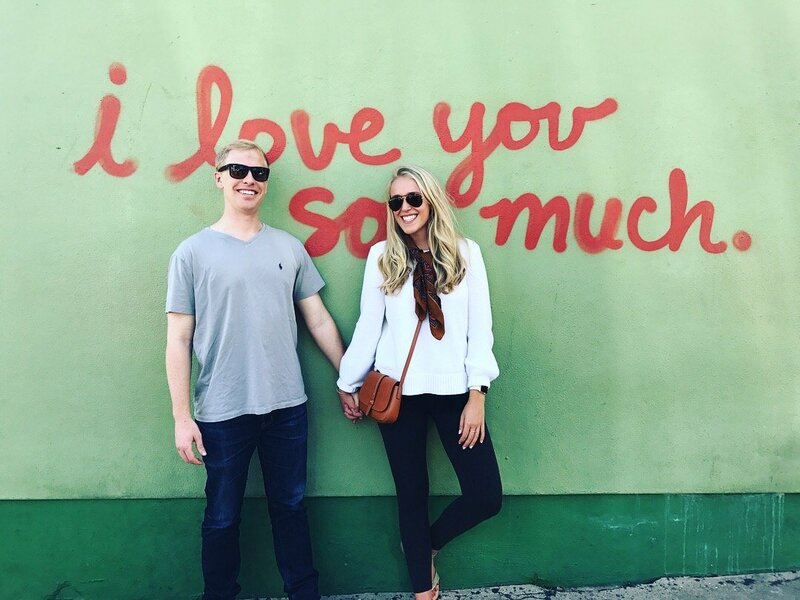 I originally chose it due to location to our friends, the beautiful rooftop pool and bar, and the Peloton bikes that the Westin’s have in all of their gyms (gotta work off that queso somehow!). I was originally bummed we couldn’t get into the South Congress Hotel or Hotel San Jose, but am now so happy we ended up at the Westin! 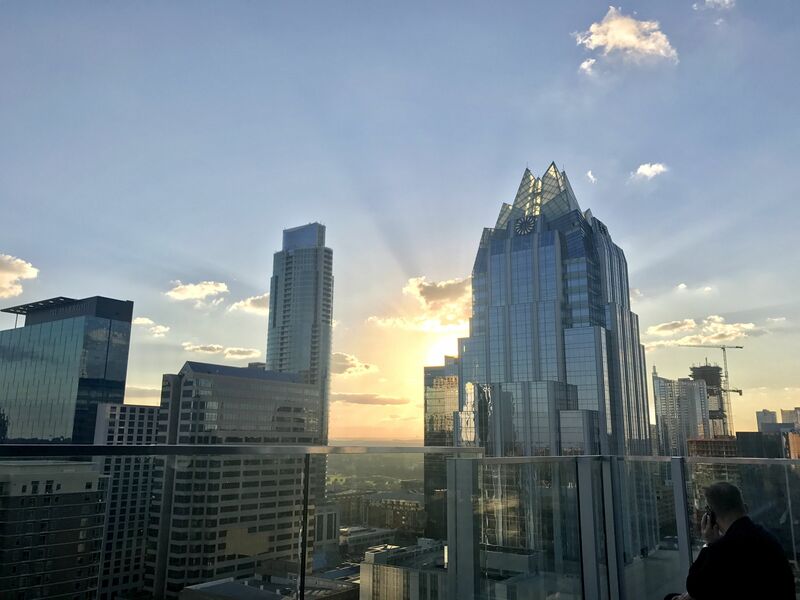 The Westin was the best location for everywhere we wanted to go, including Rainey Street, 6th Street bars, second street bars, and the capitol building. I had heard that South Congress was the best area, but the street only has enough to entertain you for a few hours. The Westin and other downtown hotels are much more central and convenient. 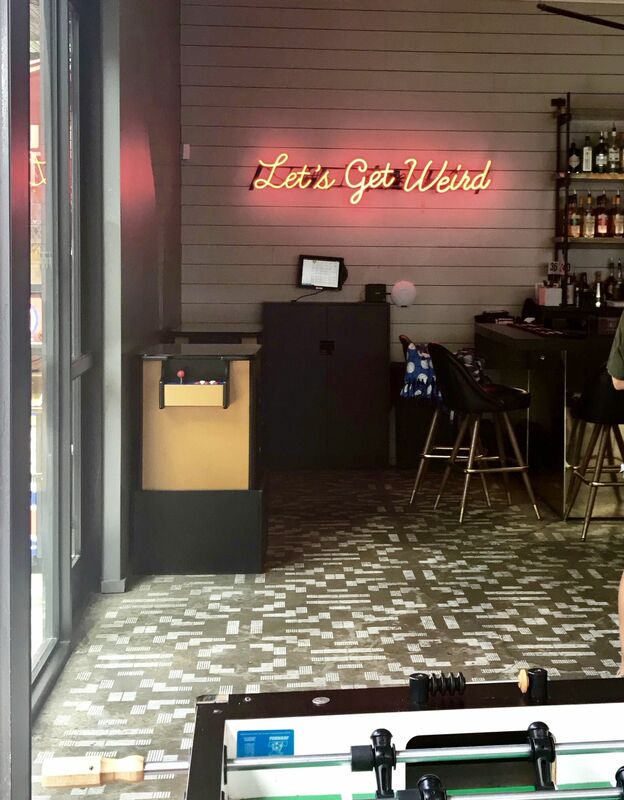 The lobby at The Westin was gorgeous, with quirky Austin touches, and our regular king bed room had great views and was strangely quiet for such a party city. The complementary fruit water and water bottles were a great touch after one too many margaritas, and the gym view was outstanding – which made the dreaded treadmill runs after said one too many much more bearable! We caught the 7am non-stop Southwest flight out of Oakland Airport, and were at The Westin by 1pm local time! The ride from the airport to downtown is super quick and took less than 20 minutes. People in Austin complain about the traffic, but they haven’t seen anything coming from an SF’er! 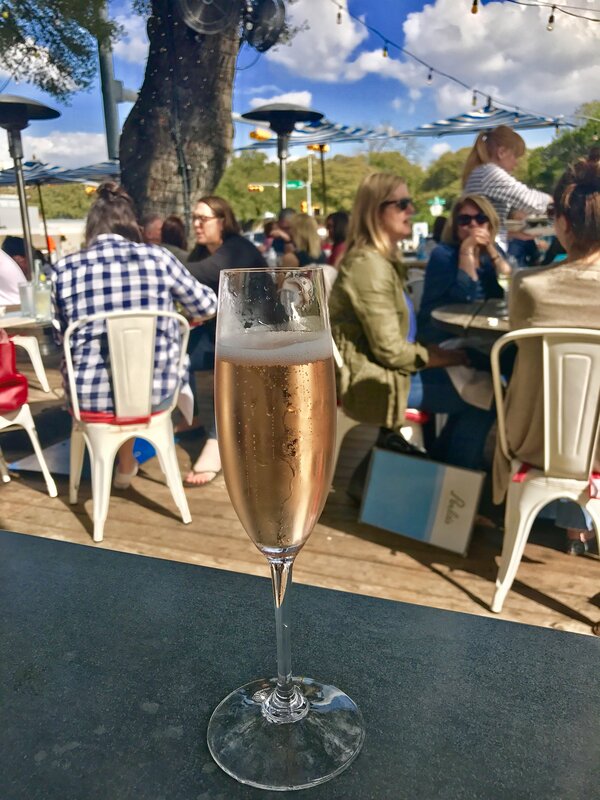 A leisurely afternoon: After lunch we explored the shopping on South Congress Avenue, which is filled with adorable boutiques and cool flagship shops – like Warby Parker, Tom’s, and Kendra Scott. After hitting a few shops, we stopped for a quick beer at one of the many Texan-style eateries. 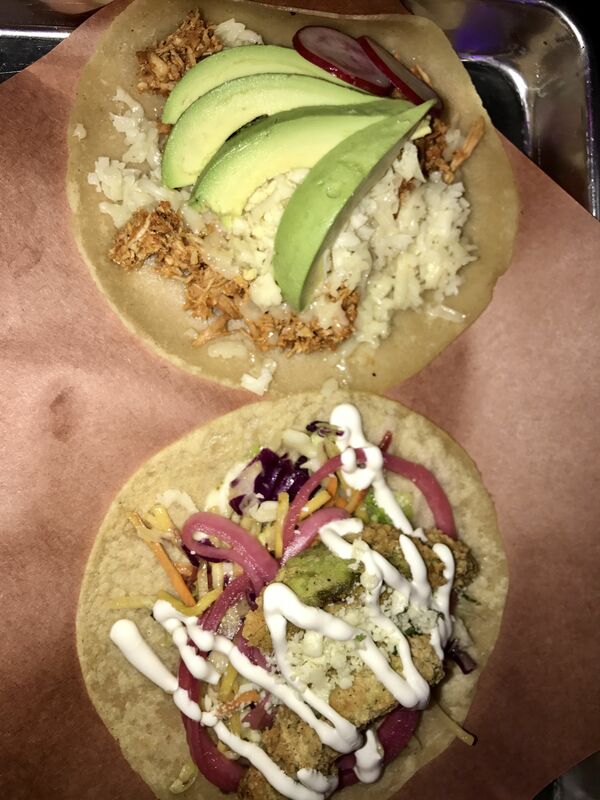 We then went to Torchy’s Tacos and split a taco – a must-do according to our local friends! 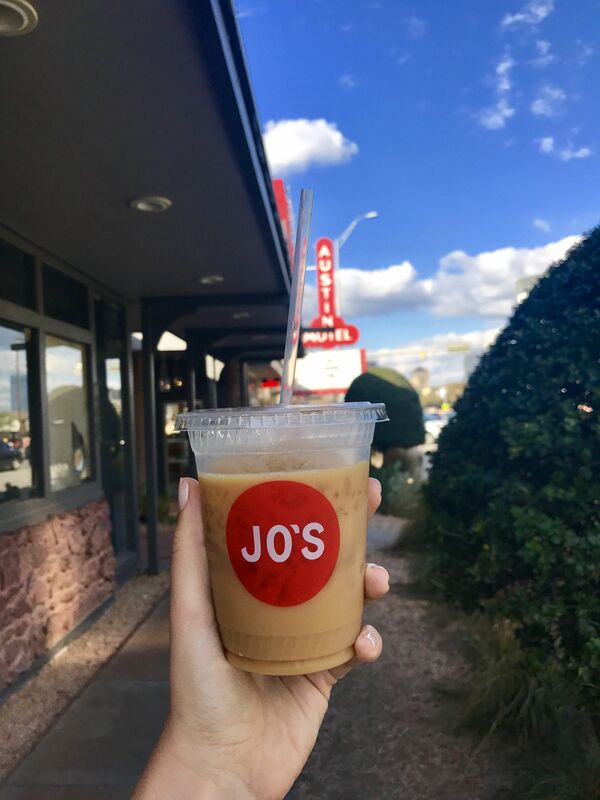 After our post-lunch taco, we headed down the road to the famous “I love you so much” wall art at Jo’s Coffee and grabbed a cold brew to take the edge off our post-early flight slug. We then walked all the way back to our hotel (about a mile and a half) and detoured to explore the riverfront and stopped at another casual rooftop (they’re everywhere!) for a local brew. Dinner: We met our group at Moonshine Patio & Grill, about 3 blocks from The Westin. They don’t take reservations, but you can go during the lunch or afternoon hours to put your name in, and when you arrive for dinner, you’ll automatically get moved to the top of the list. If only San Francisco had this type of set-up! Moonshine was a great place to go with a group. They serve complimentary popcorn and cornbread, which were both highlights, and of course, we had to get the Moonshine flight, when in Texas! Unbarlievable – the best of the night, a circus themed bar with funnel cakes, moscow mules, a giraffe on the front yard (! ), live music, and…and adult slide! You can’t go wrong on this street, all of the bars looked super fun and hip. Post running off the Rainey Street drinks at the gym, we rented B Cycles, Austin’s public city bikes. There are rental bike stations on every few corners in the city, and it $12/day for unlimited riding. Austin is fairly flat and so fun to bike around! I felt that biking was super easy and way better than taking ubers since Austin isn’t the most walkable city. 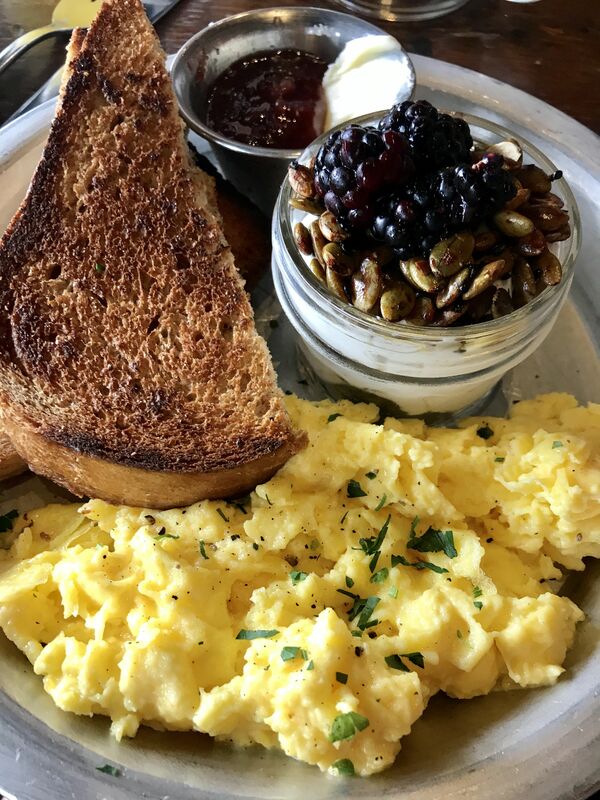 We rode right to the Austin Farmers Market on South Congress avenue, then followed it with brunch. Brunch at Café No Sé, the restaurant attached to South Congress Hotel was delicious! It’s a gorgeous, airy space, and very popular. Luckily, we scored a seat at the window bar, or we would have been waiting hours. Make a reservation! 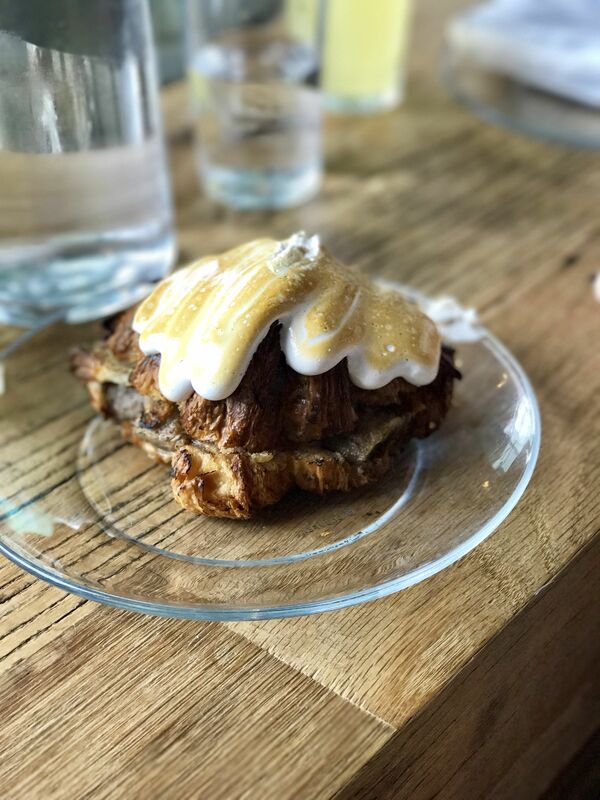 The Peanut butter, banana, and fluff croissant was decadent and the avocado toast was delicious. We washed breakfast down with freshly squeezed orange juice mimosas and were ready to start the day. 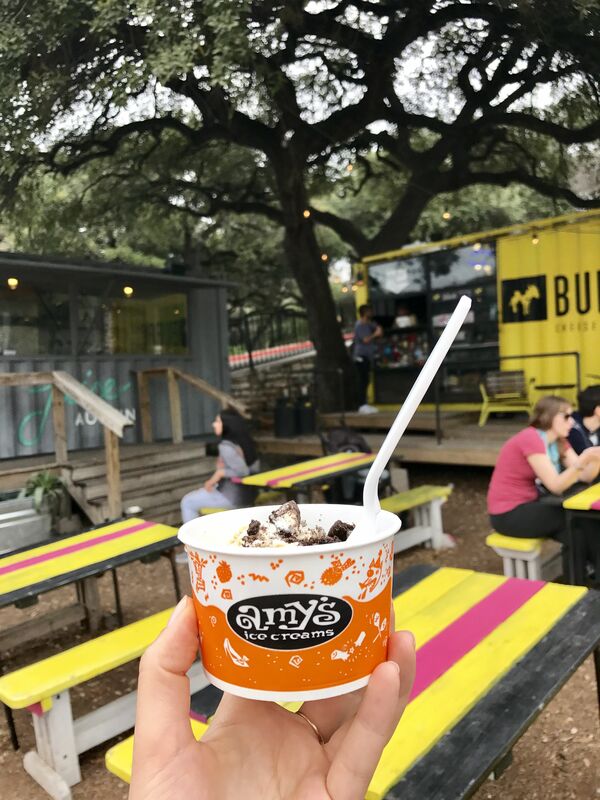 Made a little post-lunch stop at Amy’s Ice Cream on South Congress, another local must-do rec! 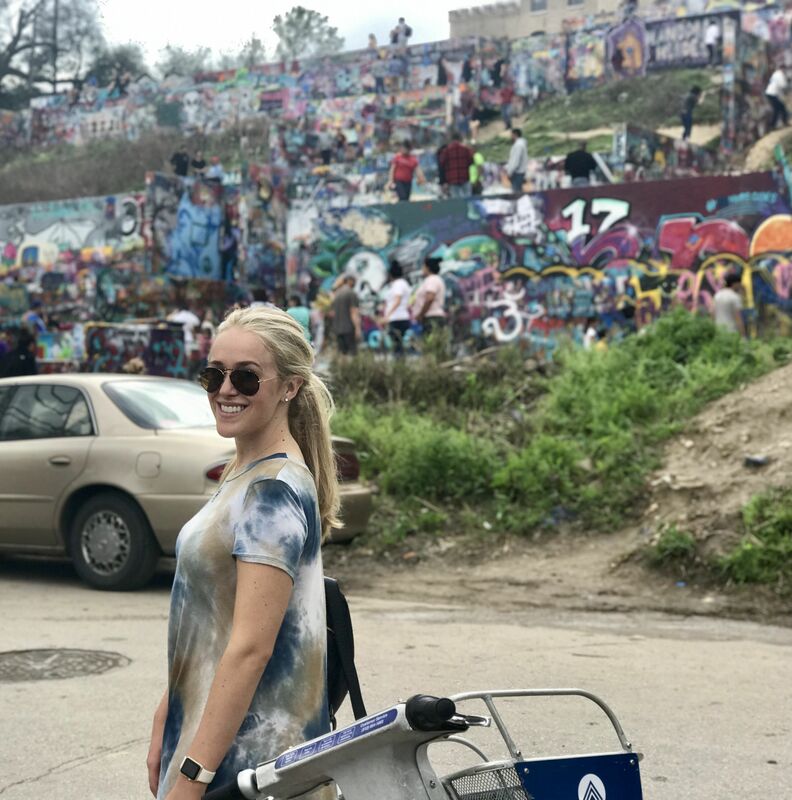 We then worked off the ice cream by biking to Barton Springs area, where we met up with our friends for a beer at Shady Grove, then biked through Zilker Park, though a bunch of local neighborhoods (and a few hills! ), and ended up at Austin Beerworks – a cool pizza place and brewery with abundant indoor and outdoor seating. En route to return our bikes for the day, we stopped at El Alma, an adorable corner Texmex spot, where we sipped margarita’s way too early in the day and noshed on queso. We met friendly locals and the bartenders were so personable. I’d highly recommend this stop for dinner or pre-dinner drinks/snacks! Dinner: We dined at Lamberts on second street on Saturday night, which had mixed reviews. We found it to be a perfect stop in Texas. It’s considered “fancy BBQ” and was exactly that! We had all the meat, mac & cheese, and every side on the menu! A bonus was a live band that started to play at the end of the meal. Post dinner, we stopped along the 6th street bars – a popular party spot near The Westin. 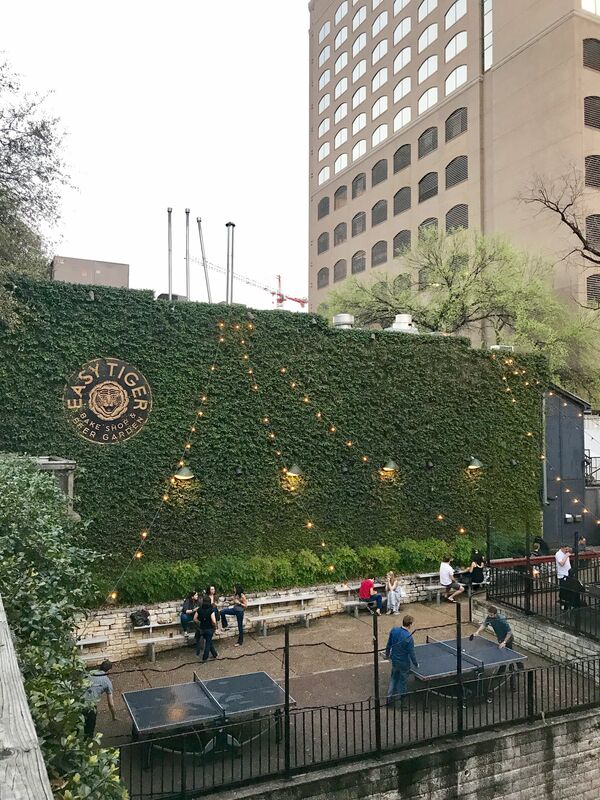 Brunch at Holy Roller – a true Texan spot with huge entrees and a long waitlist! Go early and walk around while you wait for a spot. 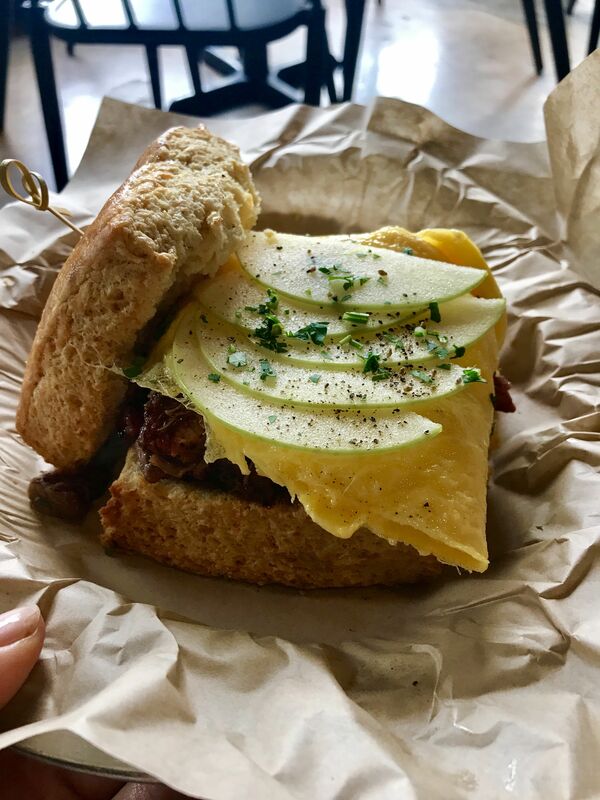 Follow brunch by playing a few games and sipping mimosas at the many nearby patio bars near Holy Roller. Irene’s was a favorite among our group. We then jumped back on the B Cycle’s and biked to the Capitol Building and the Graffiti Park. Both are fun adventures to break up all of the eating and drinking Austin brings! Dinner: We went casual for dinner on our last night and stopped at Easy Tiger – a bakeshop and brewery. The pretzels and homemade chex mix (like grandma makes on Christmas!) were both declicious, and the house made brews matched the good food. We finished off the trip with, of course, more tacos and margaritas…and..queso, at Chupacabra Cantina on 6th Street.